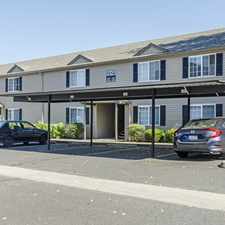 The rent at 3708 NE 109th Avenue Apartments ranges from $988 for a one bedroom to a $1,410 two bedroom. Apartments in this building are about 1% more expensive than the Kevanna Park average. This is a pet-friendly apartment. 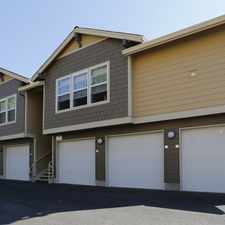 3708 NE 109th Avenue Apartments has a Walk Score of 40 out of 100. This location is a Car-Dependent neighborhood so most errands require a car. Welcome to Green Leaf River Pointe Apartment Homes. The perfect home awaits you! Envision yourself relaxing in one of our beautiful newly renovated apartment homes. Warm up in cozy new surroundings where you will find a variety of amenities that include fireplaces, outdoor patios and beautifully landscaped courtyards. For your convenience our one, two, and three bedroom apartment homes all come equipped with a full-sized washer and dryer. Ample parking including garages and covered spaces are available throughout the community. At Green Leaf River Pointe you can enjoy the inviting swimming pool, the soothing indoor spa, or challenge yourself to a work out in the complete fitness center. Explore how far you can travel by car, bus, bike and foot from 3708 NE 109th Avenue Apartments. 3708 NE 109th Avenue Apartments has some transit which means a few nearby public transportation options. Car sharing is available from RelayRides. 3708 NE 109th Avenue Apartments is in the Kevanna Park neighborhood. Kevanna Park is the 27th most walkable neighborhood in Vancouver with a neighborhood Walk Score of 35.